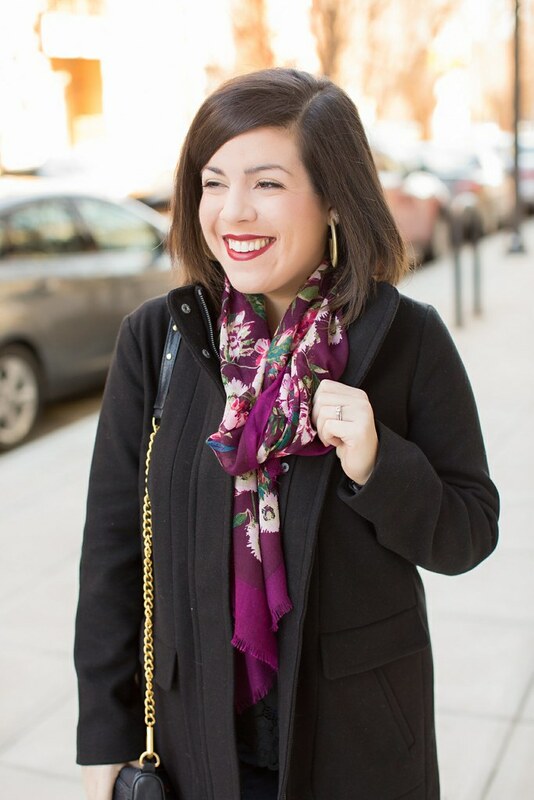 I was in desperate need of a new winter coat after my weight loss, and it was love at first sight once I saw this one from J.Jill! I love the length and the classic black color. 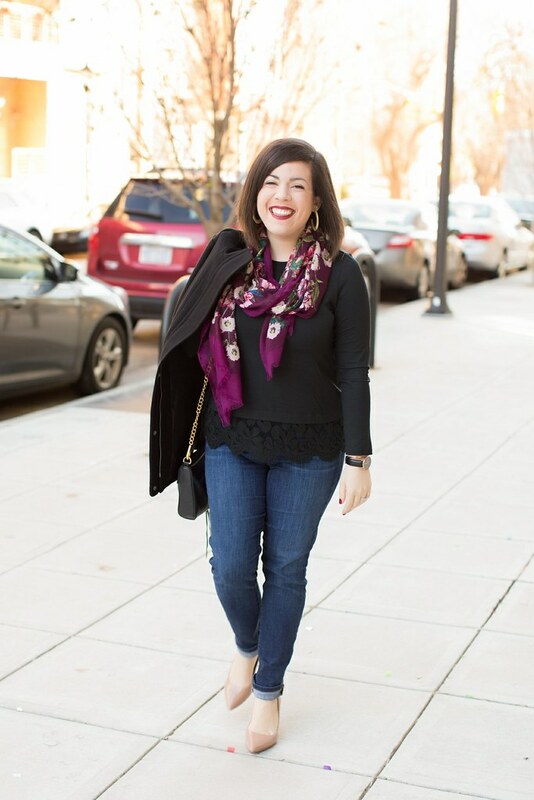 It goes perfectly with the lace trim top that I can’t get enough of, colorful floral scarf, and Daniel Wellington watch that I’ve been wearing non-stop. 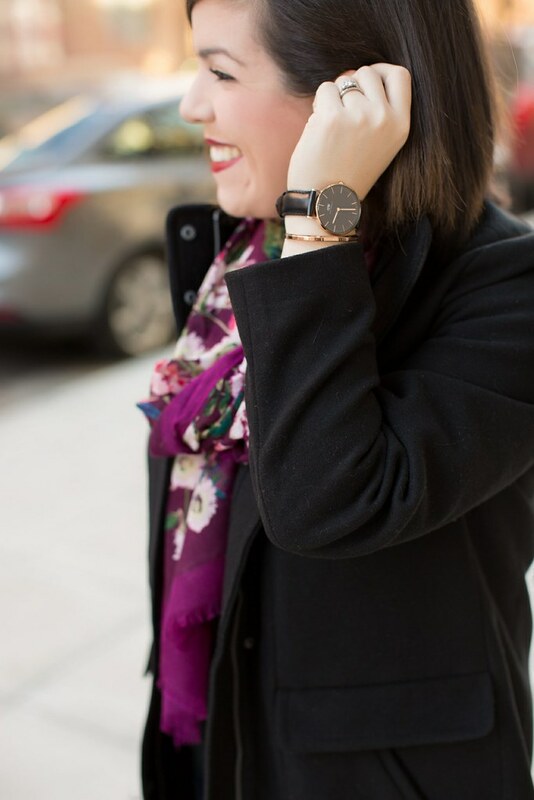 I just love the all black watch with the rose gold details. It’s so different than any other watch I’ve seen, and it goes with just about everything in my wardrobe. You can use the code HEADTOTOECHIC for 15% off! 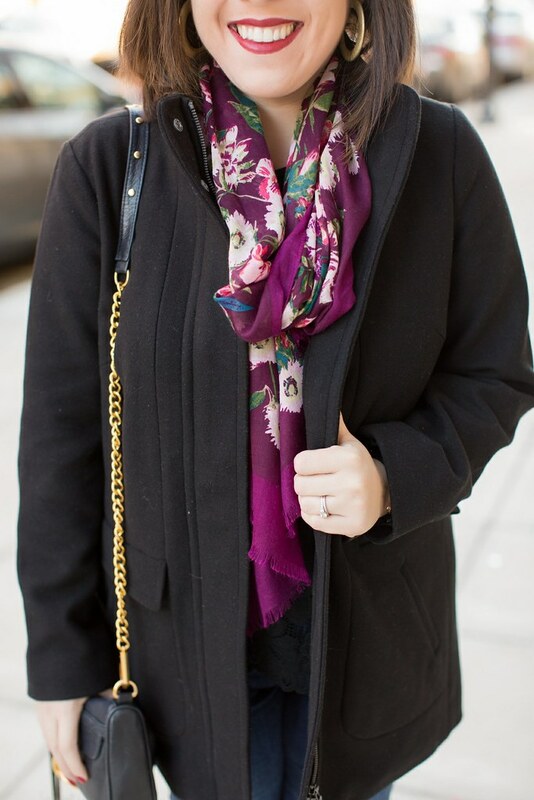 Such a pretty scarf and coat! You look great in this! What a super chic coat, girlfriend- great find! 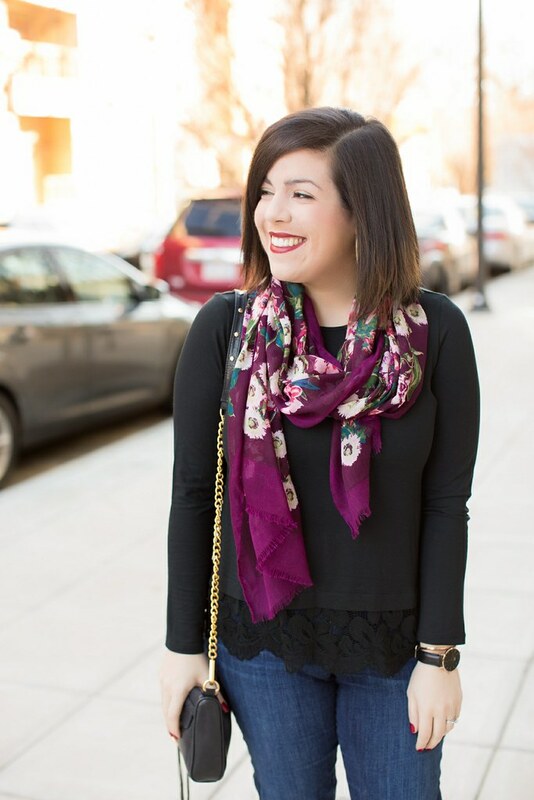 This whole outfit is so chic – I love it! That coat is perfect too! 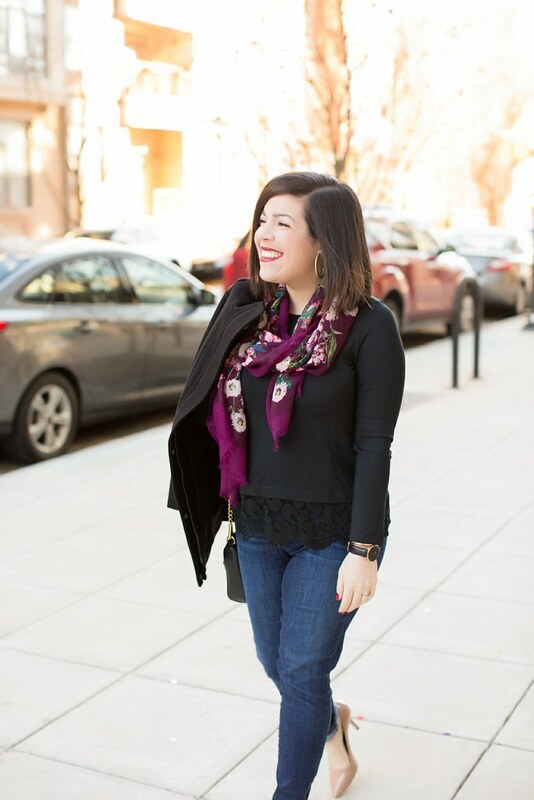 This coat is perfect, such a classic cut and color that i'm sure you will be getting years of use from it! 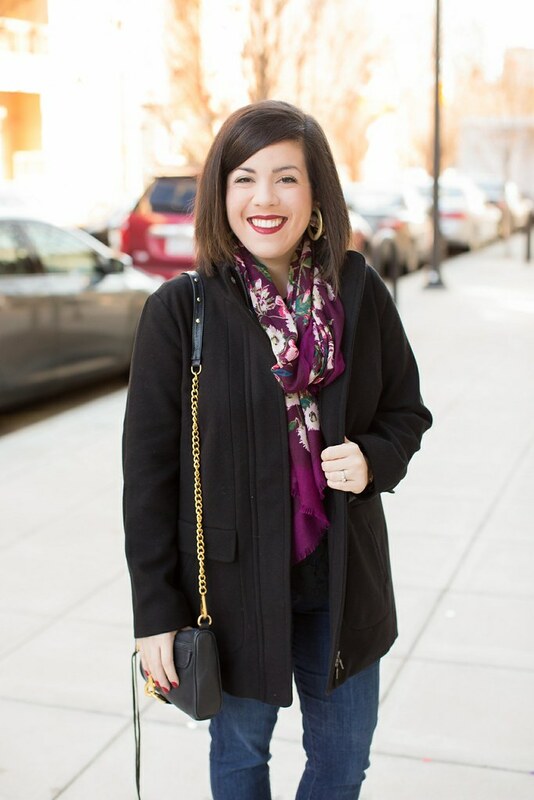 I am obsessed with that coat and that purple/plum color looks so great on you!